Sitecore 9 Update-1 came out so I decided it to have another go. I have gone through several Community tools and blog posts for helping with installing Sitecore 9 and think the approach outlined here is pretty quick and fairly simple. It’s worth noting an alternative way to do this is to use Sif-less which uses SIF under the hood to install Sitecore but with a nice UI. However I decided to go with the standard Power shell install instead this time round. Solr is required since Sitecore 9. 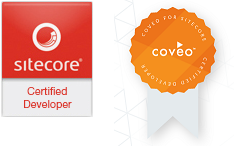 Solr must be installed running SSL and for Sitecore 9 Update 1 Solr 6.6.2 is a requirement. I have used Low effort Solr Script as it downloads Solr 6.6.2 and installs it with NSSM with SSL enabled. Just copy the gist below to your machine and save it as Install-Solr-Sitecore901.ps1. $solrVersion – It is Solr version. Here we are installing Solr 6.6.2 so don’t change version. $solrPort – It is port number on which you want to deploy Solr. $JREVersion – It is a Java run time version which installed on your machine. $JREPath – It is a path of Java run time. Prepare the files you need to install Sitecore 9 Update 1 to the correct location for the install. Create an install folder on your machine, I decided on “C:\Sitecore9-Install\”. Copy your Sitecore licence file into “C:\Sitecore9-Install”. Finally install Sitecore with SIF by following power shell script. Save the script to your machine as Install-Sitecore901-SIF.ps1 and run it with the correct admin permissions. $prefix – It is a prefix used for Site name and database prefix. $PSScriptRoot – set this to your install folder location. $SqlServer – It is SQL server name. $SqlAdminUser – It is a SQL user that has permissions to create databases, I used the “sa” account. After successful installation, you can browse the Sitecore and Solr.